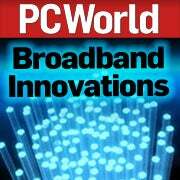 "Broadband Innovations" is a four-part series that highlights groundbreaking broadband uses, and the people who&#160;employ the technology to preserve the past, reshape the future, and fulfill their dreams. This final story in the series focuses on residents of Washington State who&#160;receive medical and psychiatric&#160;care via video over&#160;the Internet. Timothy Moon's 48 years have been colored by violence. At 16, he was shot. In 1989 he received his first prison sentence. Diagnosed as a manic depressive, Moon finally made a decision about a year ago to get help in dealing with all the anger inside him. Typically, obtaining medical care would mean transporting Moon, accompanied by two guards, from his cell at Coyote Ridge Corrections Center in Connell, Washington, to a caregiver in Spokane, 100 miles away. A second option would be to have a psychiatrist drive all the way from Spokane to the penitentiary for every consultation. However, thanks to the Northwest Telehealth network, which uses broadband to provide health care to remote locations, Moon undergoes videoconferencing sessions with his psychiatrist without ever leaving the penitentiary. And he likes it better than meeting in person. "When I'm in a room by myself, there is less pressure. It's like talking to the camera, which works for me since I find it more difficult to talk about my problems in person," he says. Moon initially tried confiding in his fellow inmates, but found that it did more harm than good. "You can't just express yourself to anyone. They'll interpret it as weakness and take advantage of it." Having been in a couple of fights, he now tries to stick to himself. "But it's important to have someone to talk to," he says. About 50 of the 620 inmates at Coyote Ridge use the network for their health-care needs. Aside from saving tax dollars and improving safety by minimizing the transport of prisoners, the system also discourages prisoners from feigning symptoms to break the monotony of prison's daily routine. 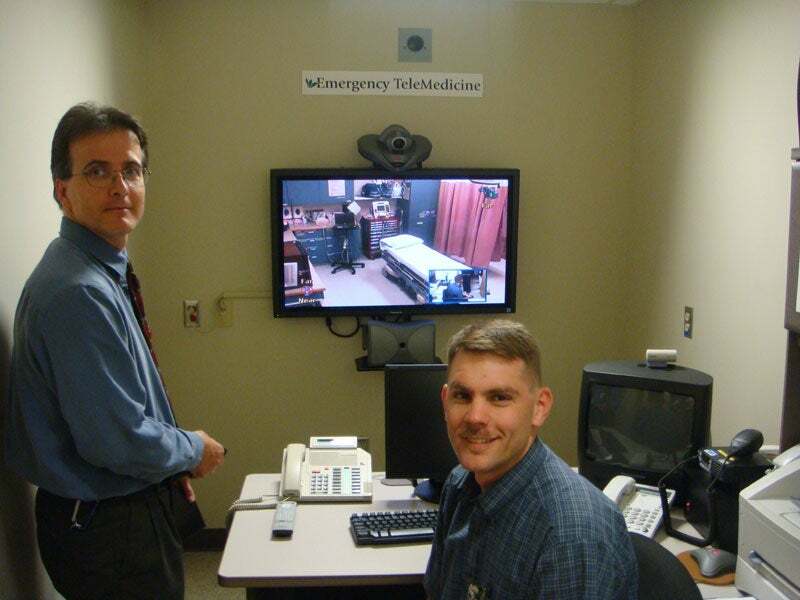 Telehealth executives Brian G. Hoot (left) and Gram McGregor, in front of a monitor showing an emergency room in one of the rural clinics they serve. "In my experience, 50 percent of the inmates that come to the ER don't need to be here," says Gram McGregor, emergency department manager at Deaconess Medical Center in Spokane. His ER department is another one of 65 sites throughout eastern Washington and northern Idaho that are connected to the Northwest Telehealth network by broadband speeds of up to 100 megabits per second. Besides penitentiaries, his ER provides rural hospitals and other sites with remote consultations. McGregor maintains that the remote service is not just about saving money--it's also about improving the quality of care. "Many rural clinics are understaffed. Whether they need an expert consult, a second opinion, or emergency advice, they need to be able to access it remotely," he says. Part 1: "The 21st Century Athlete" Meet gamer Patrick O'Day, doing his best to represent the U.S. in Digital Games 2008. Part 2: "Fiber Optics Reaches the Tipi" A Canadian aboriginal community uses broadband to save its native language and culture from extinction. Part 3:&#160; "The Film Editor's Dream" A well-known Swedish film editor fulfills his dream of working remotely&#160;while living in a rural area, thanks to a superfast fiber-optic broadband connection.